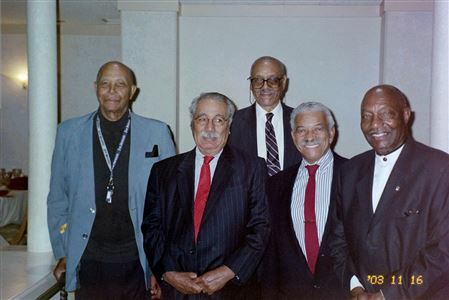 In the Fall of 1954 a group of Omega Men, who resided in Plainfield, New Jersey, formed a committee to initiate the process of chartering a Graduate Chapter of Omega Psi Phi Fraternity, Inc. in Plainfield. The Chairman of the committee was Brother Raymond Cruse. A letter dated October 19, 1954 was sent to numerous Brothers in the area about the proposal and inviting them to join the effort. A meeting was held with the Second District Representative on November 9, 1954 to officially set the process in motion. The fees required came to about $12 per Brother. The application for charter was filed on November 21, 1954, with 9 Brothers having paid dues. 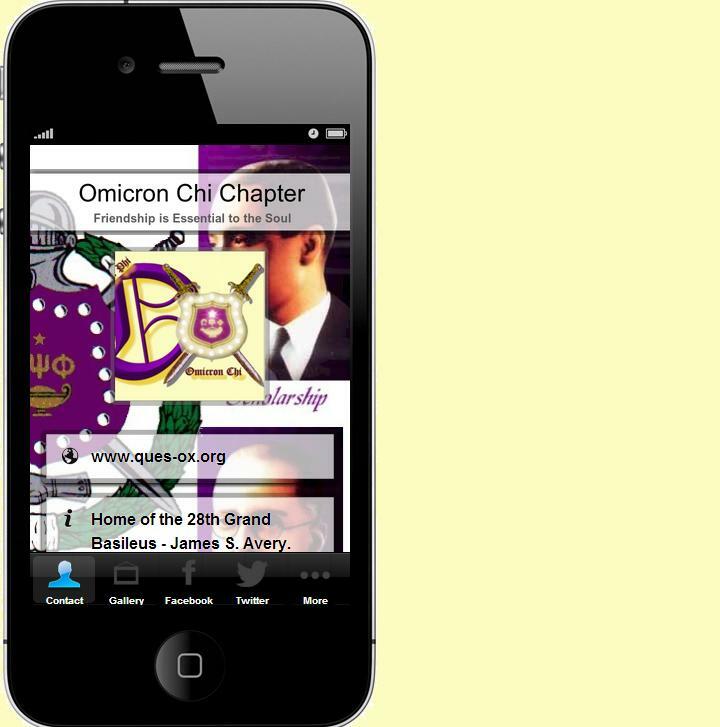 On January 5, 1955 the application for charter was approved by the Grand Council of the Omega Psi Phi Fraternity, Inc. At that time John F. Potts was the 22nd Grand Basileus of the Omega Psi Phi Fraternity, Inc. An informal meeting of the Omicron Chi Chapter was held on January 11, 1955 to set up the temporary structure of this new chapter. The first official formal meeting of the newly formed chapter was held February 4, 1955. The first Basileus of Omicron Chi was Brother Joel Nelson. The Keeper of Records and Seal was Raymond Cruse. On April 7, 1955, Omicron Chi Chapter was chartered with twelve men including: Chappell Glenn, Lee Paterson, Joel Nelson, Washington T. Nelson, Raymond Cruse, Marvin Whaley, Marshall Brown, Donald Van Blake, Anthony Cary, Richard Vaughn, and Herman Carter. The first public affair of the Omicron Chi Chapter was a Scholarship Fundraiser held on June 18, 1955 at Local 980 Hall in Edison, NJ. At the 41st Grand Conclave, held in Los Angeles, California in August 1955, the Omicron Chi chapter was officially listed with the graduate chapters of the national body.